CropLife Australia says a new report by market analysts Mecardo provides "clear and undeniable evidence" the South Australian government’s moratorium on genetically modified (GM) crops does not deliver any benefit to the state’s farming sector. According to the organisation, the moratorium is only denying the state’s farmers the opportunity to be more profitable and environmentally sustainable. “The report Analysis of price premiums under the South Australian GM moratorium is evidence that the GM-crop moratorium serves no purpose to anyone and the removal of the ban would not be any loss to non-GM farmers seeking to establish a premium international market," said CropLife Australia CEO, Matthew Cossey. 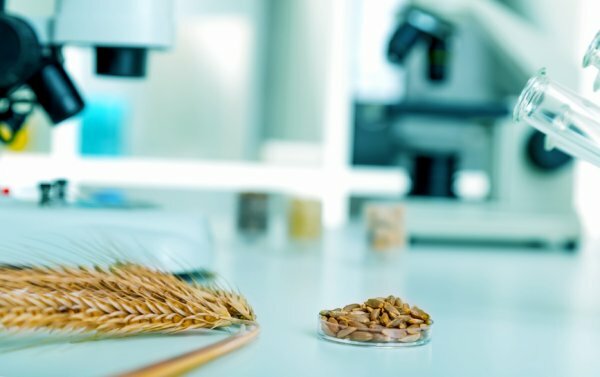 "The report was commissioned by Grain Producers South Australia and the Agricultural Biotechnology Council of Australia to contribute facts and evidence to a debate that has otherwise been hijacked by political interests and baseless ideologies. “The analysis undertaken by Mecardo has compared prices in South Australia to comparable markets in Western Australia and Victoria on a range of agricultural commodities including wheat, canola, barley, wine grapes and cattle. Only GM canola and cotton are federally approved for commercial cultivation in Australia however the analysis has thoroughly examined all agricultural sectors in SA that contribute to the local economy to correct, once and for all, the misinformation and fear-mongering that has been the basis of the GM debate in the state. Mr Cossey said the Mecardo report also found South Australian farmers are missing the opportunity to enjoy the benefits of growing safe and approved genetically modified canola. “Recent independent data by Graham Brookes of UK-based PG Economics has shown that GM crop farmers in Western Australia, Victoria, NSW and Queensland have gained $1.37 billion worth of extra income and produced an additional 226,000 tonnes of canola that would otherwise have not been produced if conventional seeds had been used. GM traits in cotton and canola have also contributed to a significant reduction in the environmental impact associated with insecticide and herbicide use on the areas devoted to these GM crops in Australia. The state government’s baseless ban on GM crops means South Australian farmers continue to miss out on these benefits. “The long track record of Australian farmers using different agricultural production methods alongside each other reaffirm that all agricultural production methods can and does work to coexist to deliver the best of Australian agriculture. There is no reason for the South Australian government to hold the state’s farmers back by preventing them from being able to competitively produce more food, feed and fibre for a growing global population.